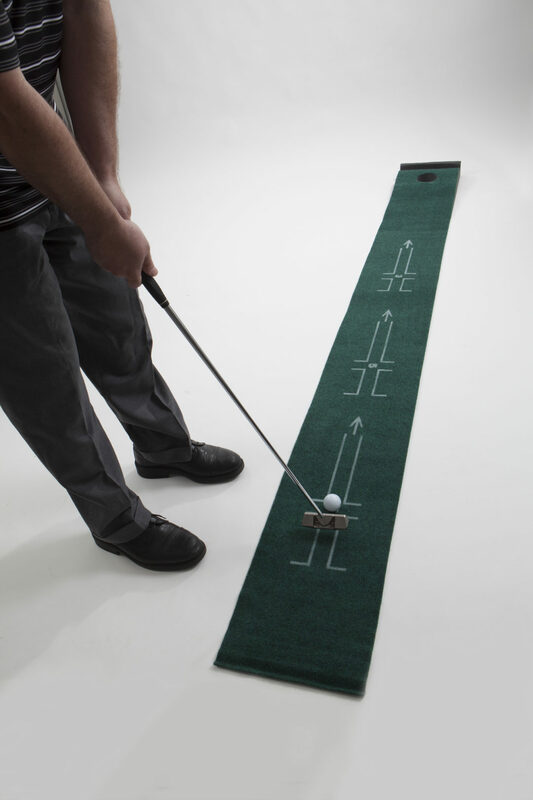 The Accelerator is our signature golf putting training aid and instruction equipment device. An exceptional golf putting training aid and golf putting training equipment device, it has squaring lines for three, five and seven foot putts.It also has back stroke marks. This golf putting training device and aid has acceleration arrows to enhance proper acceleration through your putting stroke.